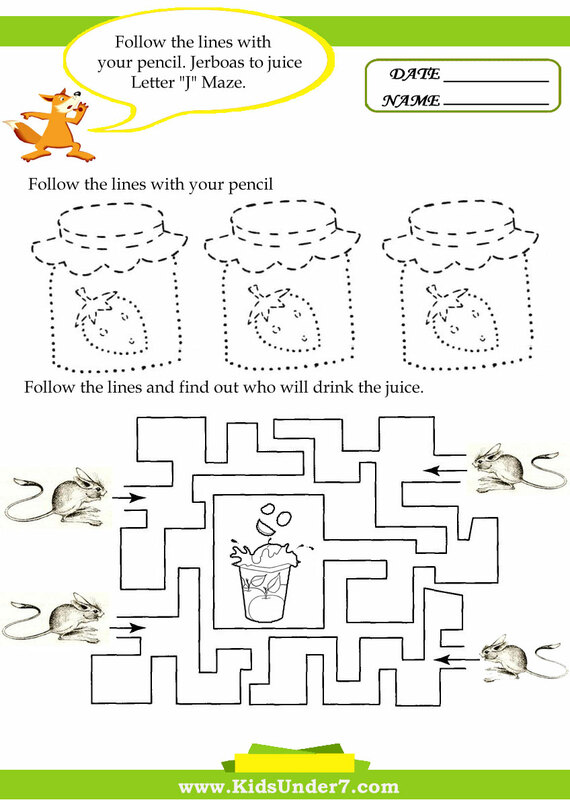 1.Write the letter J. 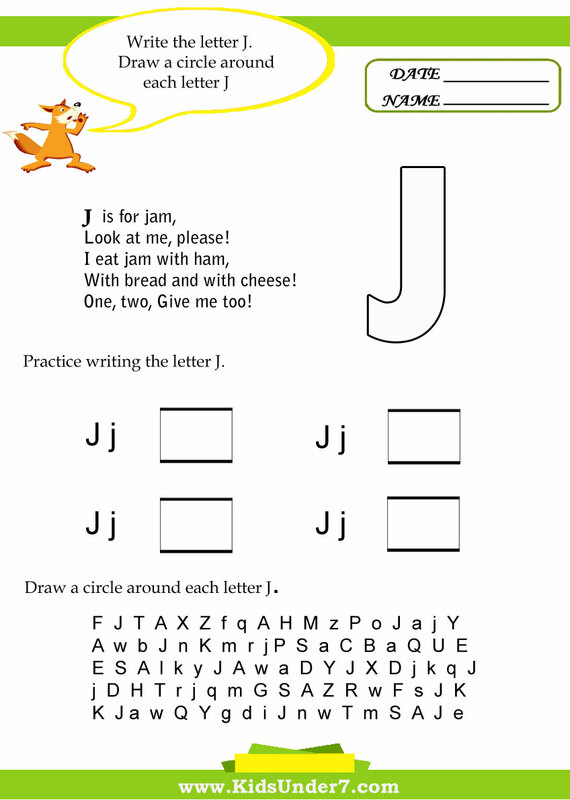 Draw a circle around each letter J. 2.J is for jellyfishg. Practice tracing lines. 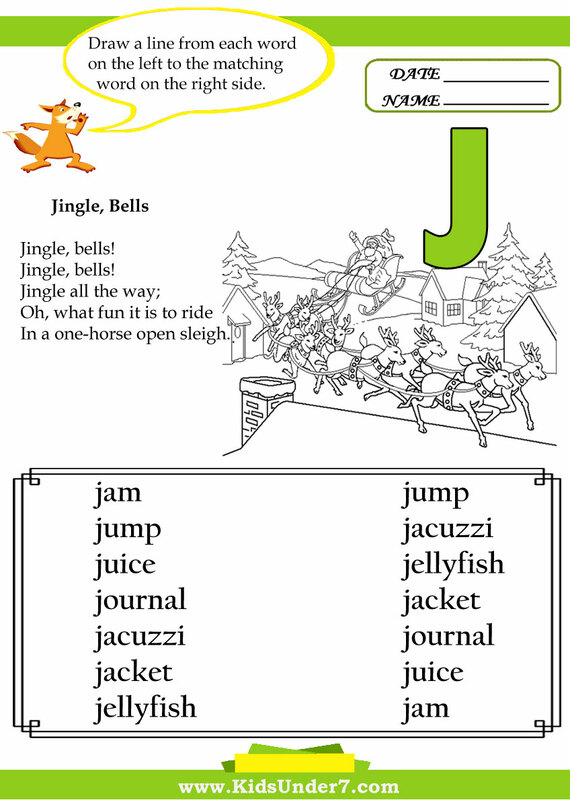 3.Jingle, Bells Rhyme.Draw a line from each word on the left to the matching word on the right side. 4.Find and circle two identical jackets. 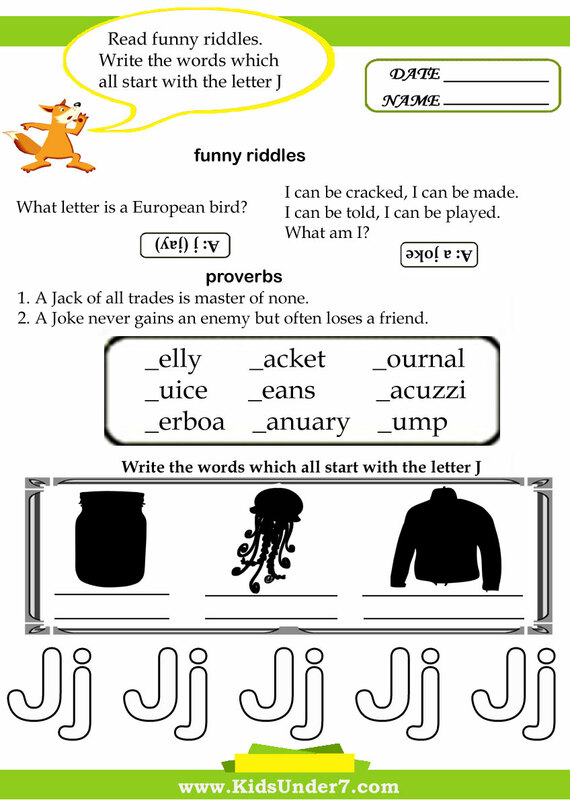 6.Read funny riddles.Write the words which all start with the letter J. 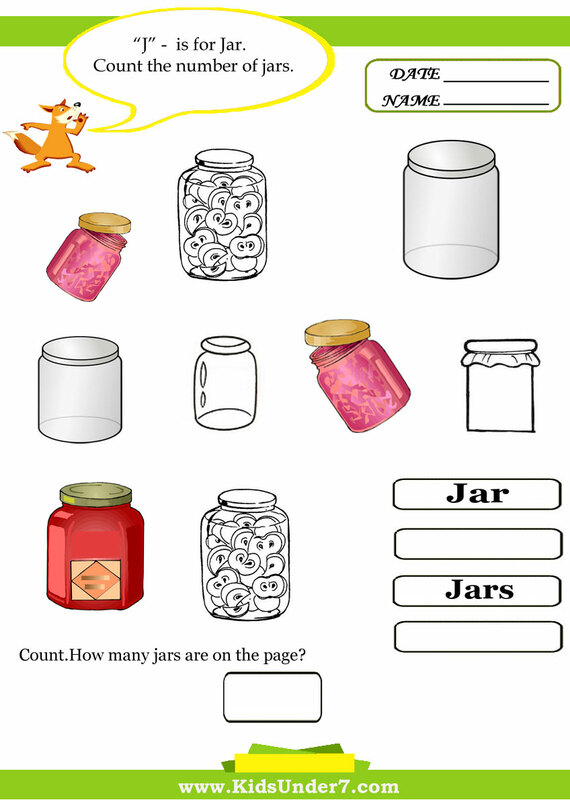 7.J is for Jar.Count, how many jars are on the page? 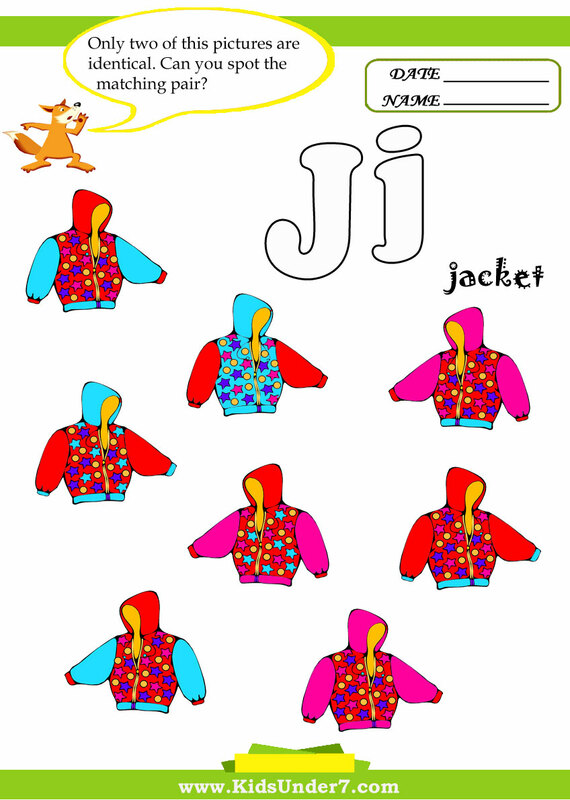 9.Color the jacket and jeans. With bread anf with cheese! One, two, Give me too! 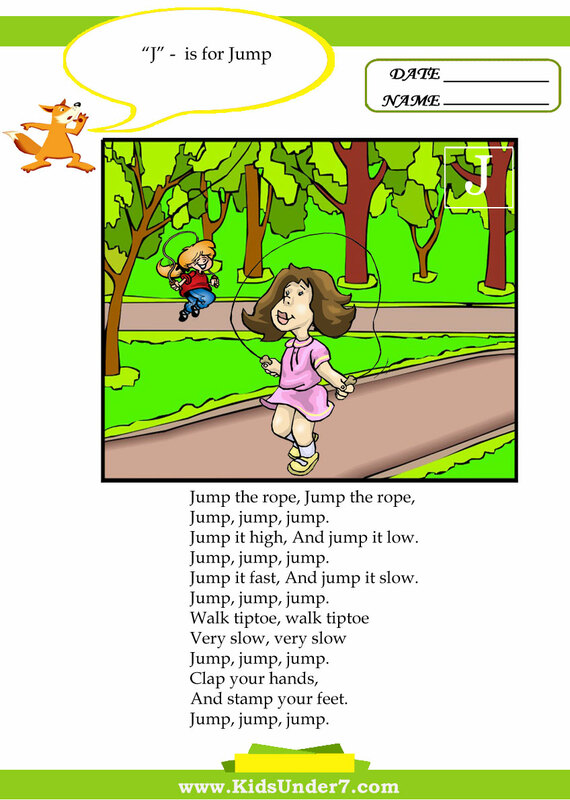 J is for jam, This is apple jam.